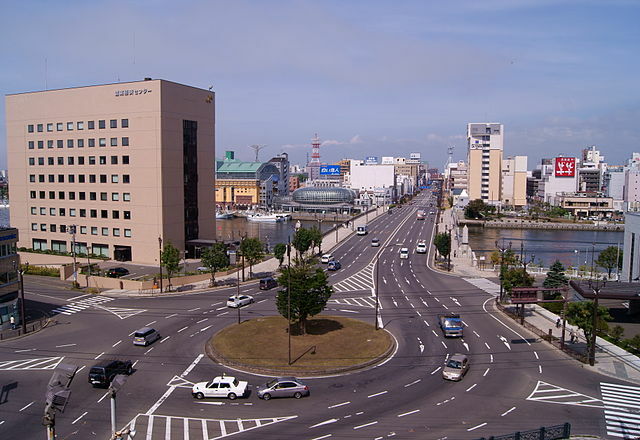 Kushiro is the fourth largest city in Hokkaido and the largest city in Eastern Hokkaido. Despite its population and size, it is still quite rural, with a sparse public transportation system. 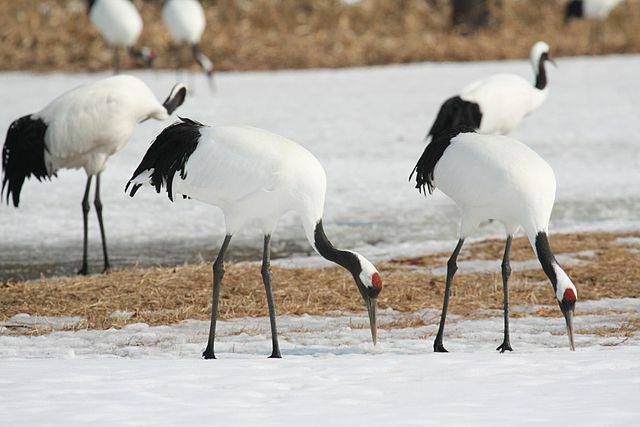 It is home to Japan's largest marshland and is a year-round home to endangered Japanese Cranes, making it a popular stop for birders. Like most parts of Japan, the Kushiro area is volcanically active and it is especially prone to small tremors from off-shore earthquakes. Nusamai Bridge is located near Kushiro Fisherman's Wharf MOO. ​The atmosphere around Nusamai Bridge is very romantic with street lamps and bronze statues symbolizing the four seasons. ​It is especially lovely at dusk as well as the sunsets; the views around Nusamai Bridge are simply beautiful. It takes about 10 minutes to walk from Kushiro JR Station to the bridge. ​Fisherman's Wharf MOO and EGG - Kushiro Fisherman's Wharf MOO is a worthwhile stop with its bustling marketplace located on the waterfront, close to Nusamai Bridge. Beyond this the building houses a multitude of restaurants, shops, and recreational facilities. Tourists and locals alike enjoy sightseeing, eating, shopping, and relaxing at the MOO. It sits overlooking the water and one can see fishing boats bobbing just outside its many windows. There is also a pool and a fitness center located on the top floor of the building. The EGG is a small, but delightful conservatory and is just what one needs when the long, cold Kushiro winter arrives. It is attached to the MOO. 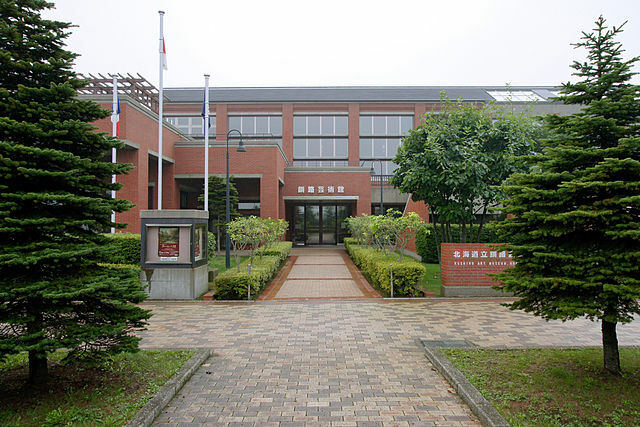 Kushiro Art Museum is located down a short walking path from the Fisherman’s Wharf. Though it is small in size, the gallery hosts many lovely exhibits and its facilities are quite nice. 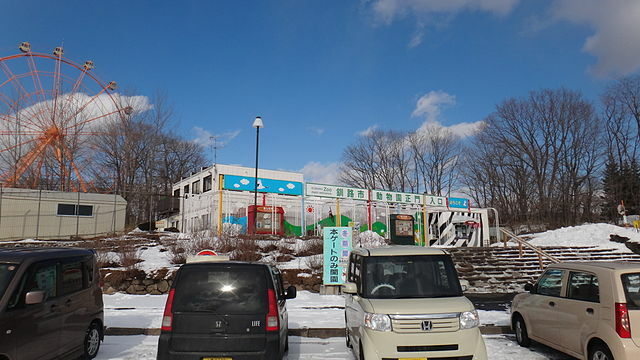 Kushiro City Zoo a 15-minutes’ drive from the city, is an all-in-one that includes an amusement park, a hot spring, a campground, a horseback and bicycle riding area. The cool climate of the area provides a favorable environment for Northern animals. The zoo is located near Kushiro Wetland " Kushiro Shitsugen". Kushiro Shitsugen National Park - The Kushiro Marshland was designated as National Park under the Ramsar Convention in 1980, to preserve the country's largest wetland and marsh habitat which supports the only known population of endangered Japanese Cranes in Japan. The park does not receive much snowfall, even in winter, and offers bird watching, nature viewing, and walking trails. ​Japanese Cranes can be viewed there year round, but they are best seen in the winter as they gather at winter feeding sites. These sites can be reached by public transportation. 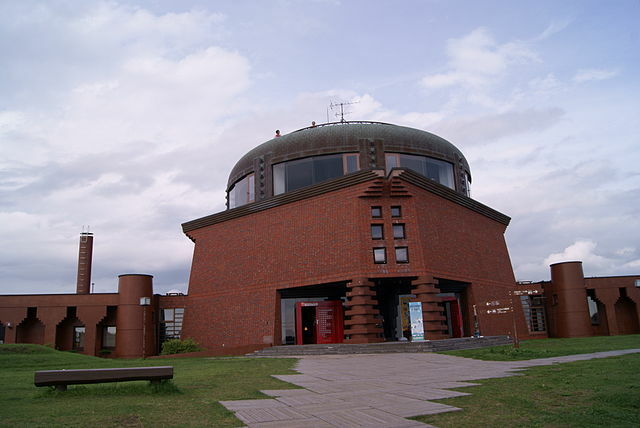 Visitors should climb the stairs to the top of the Kushiro City Marsh Observatory and take in the views of the luscious forests that surround the area. There are also forested walking trails and a replicated Ainu settlement. 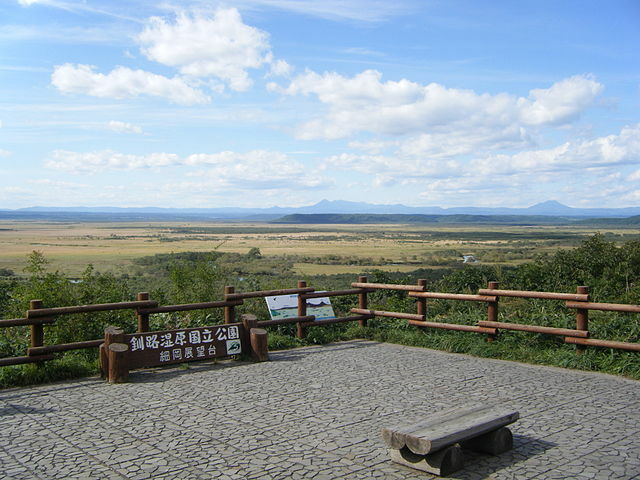 Kushiro Shitsugen Viewpoint can be reached in about 15 to 20 minutes by a boardwalk path from the Kushiro City Marsh Observatory. Bring your bug spray, during the summer there are a lot of mosquitoes, but the wooden boardwalk forests and views of the expansive wetlands make a visit essential. It is a 35 minutes’ bus ride from Kushiro JR Station. ​SL Fuyu-no-Shitsugen Train goes through this wetland and gives you a great scenery. Kushiro Shitsugen Norokko Train which runs between Kushiro and Toro, is operated on this line from late April to late September. 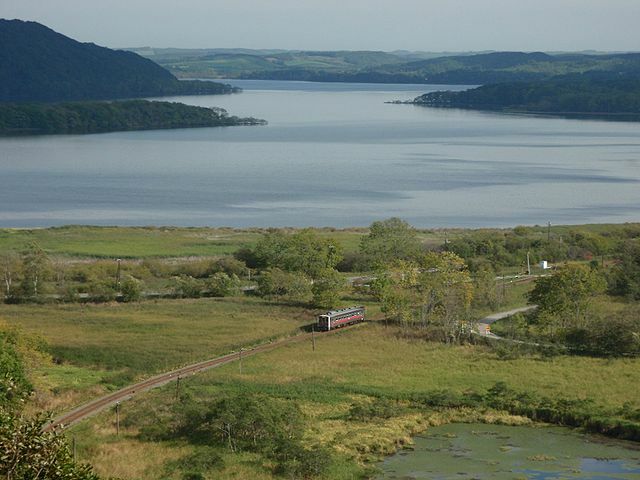 This is the easiest way to enjoy a day excursion in Kushiro Shitsugen from Kushiro. Kushiro Shitsugen Norokko train is fully covered by Japan Rail Pass. 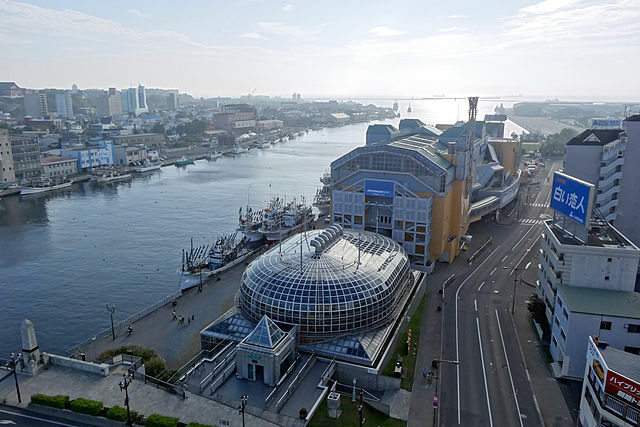 ​By Air – Tokyo’s Haneda Airport to Kushiro Airport is a 90 minutes’ plane ride. 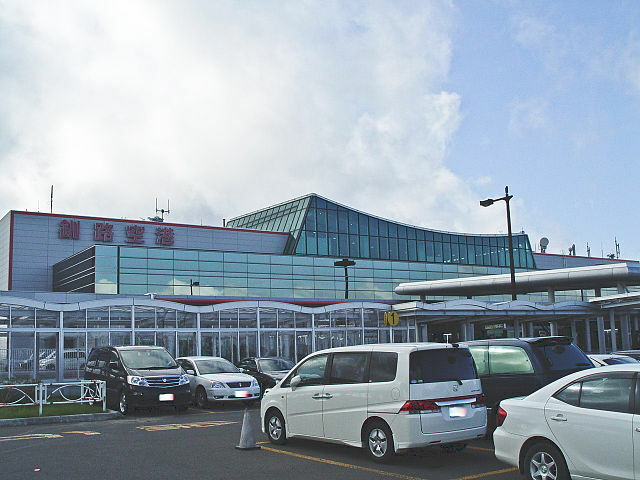 Kushiro Airport is also accessible by direct flight from Sapporo's New Chitose Airport and Okadama Airport. Akan Bus operates airport shuttles that correspond with every inbound and outbound flight between the airport and Kushiro Station. If traveling without a local contact, a rental car is strongly recommended because public transportation within the city and greater Kushiro area is few and far between. ​Rental cars are available across the street from the airport. Train - Sapporo Station to Kushiro Station is a 4 hours’ JR Hokkaido Train ride and is fully covered by both the Japan Rail Pass and Hokkaido Rail Pass. Special round trip tickets "R-Kippu", are available as well. 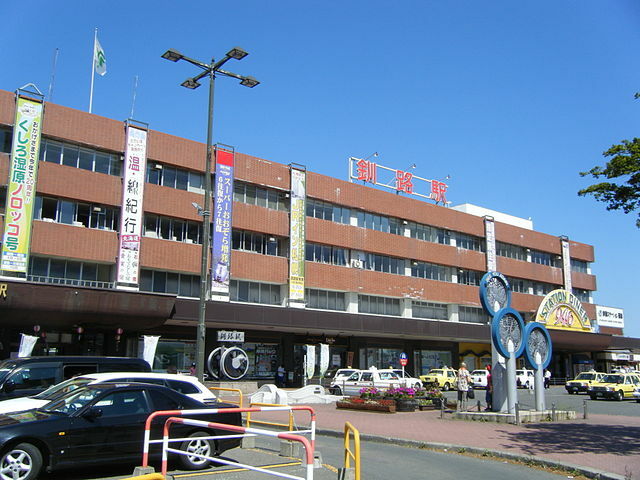 Kushiro Station is the last stop on the Super Oozora Limited Express train. Bus - Kushiro Bus operates daily buses "daytime and overnight" to and from Sapporo "takes about 6 hours". Visit the Tourist Information Center and pick up a guidebook.